Happy Sunday! 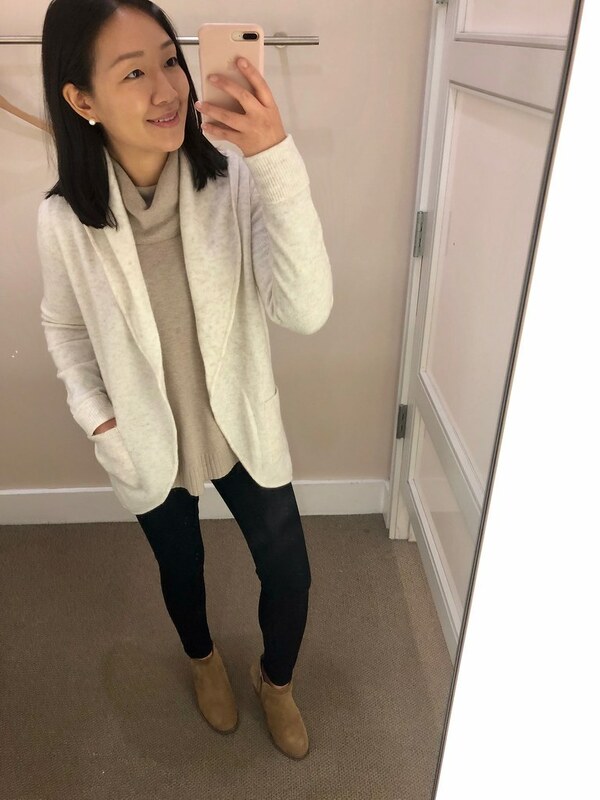 I’ve back with a lot of try ons but I first wanted to share a few recent outfits. 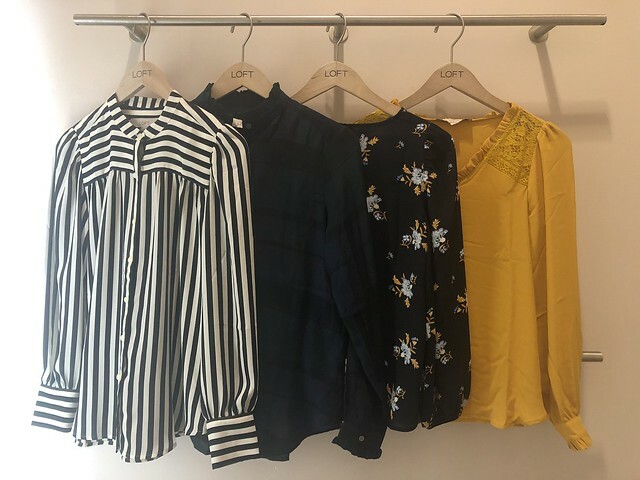 LOFT – Get 50% off your purchase in stores and online using the code NEWNOW. FYI. Today’s daily deal is full-price promotional coats $89 and under. Since no code is needed on the daily deals you can use code LOFTCASH to save an extra $25 on your full-price promotional purchase of $50+. If you shop in stores you can redeem multiple LOFT cash cards for an extra $25 off every full-price purchase of $50+. Please check with your local store first if they support cash card redemption during this event. For example, I’ve heard my followers in the DC region say otherwise but I wonder if it’s different this year. 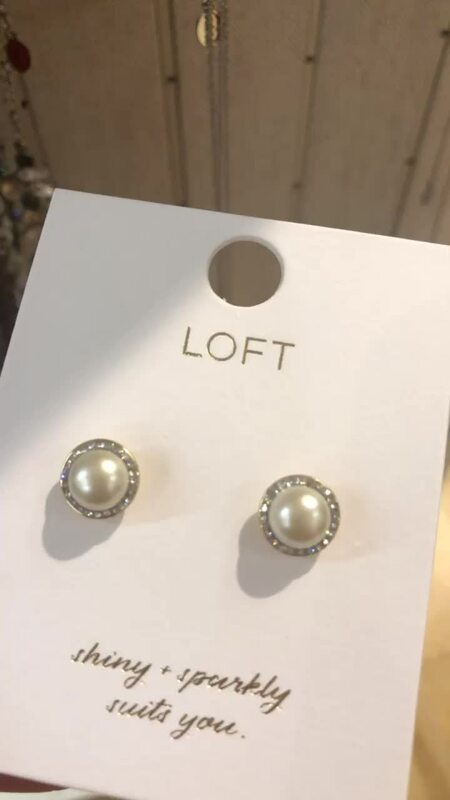 From my experience the Boston area LOFT stores support LOFT cash cards in conjunction with the storewide sales for huge savings. 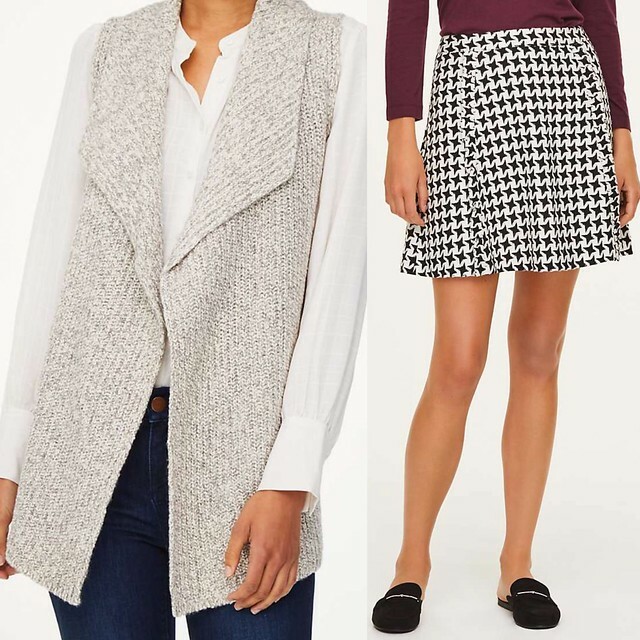 ANN TAYLOR – Get 40% off your full-price purchase, save an extra 15% off sweaters and save an extra 60% off sale styles. Use code FLASHSALE. Sale ends 12/11 at 3AM ET. 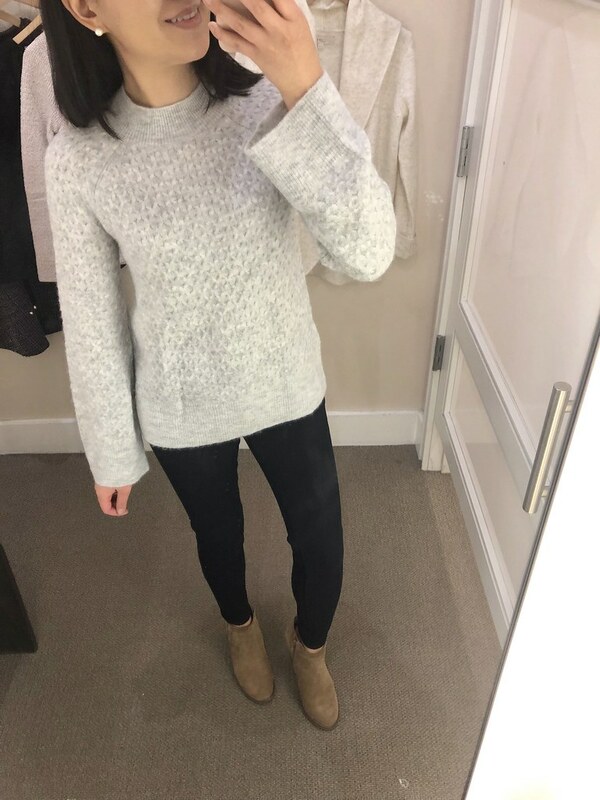 I love this sweater and I also ordered it in the light pink color. I took my usual size XSP for a relaxed fit. I wore it twice so far and it hasn’t pilled. I like that the v-neck is more u-shaped and it isn’t too low. Update 1/3/19: The sleeves of the sweater do pill. I whip out my sweater shaver to remove the pilling. 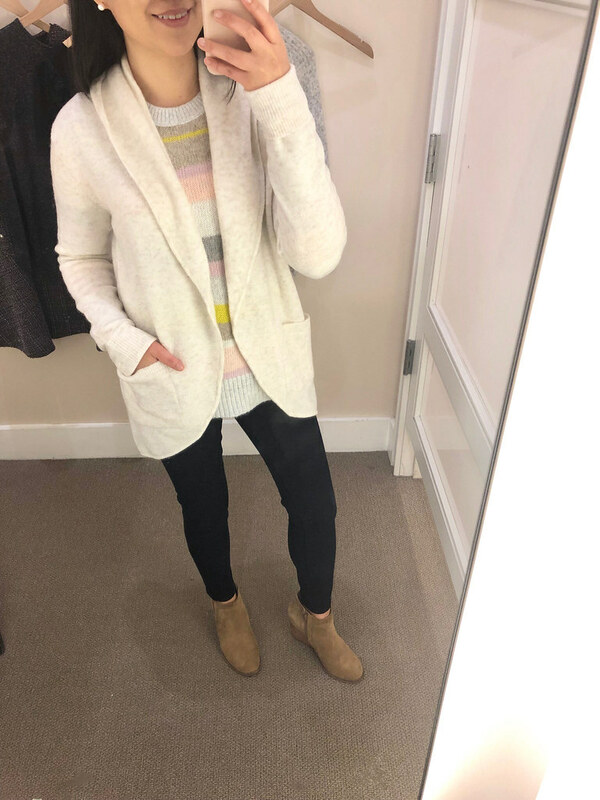 I had the opportunity to try on this cardigan in both petite sizing (above) and regular missy (below). 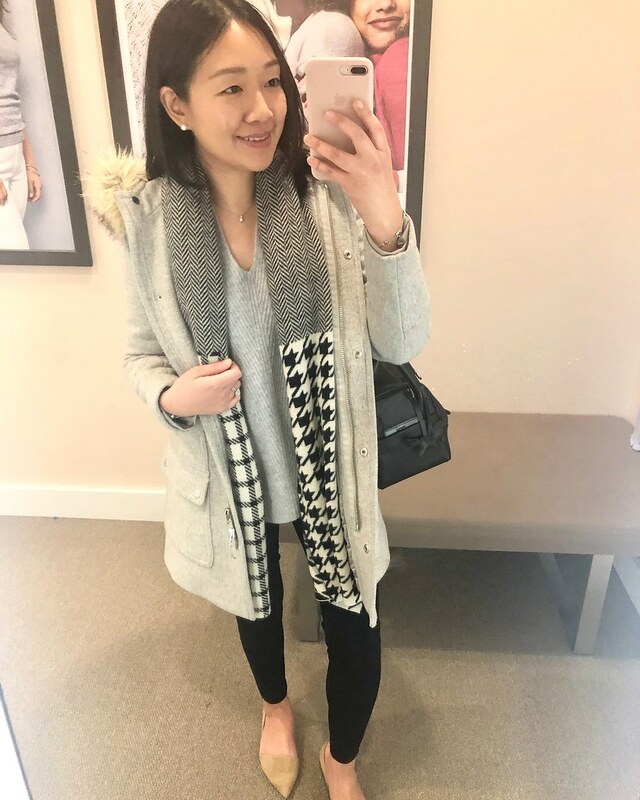 I prefer the longer length of regular missy so that I can layer without worrying if my inner layer is sticking out from underneath the cardigan. However, the sleeve length of petites is better since the regular missy sleeves are very long. 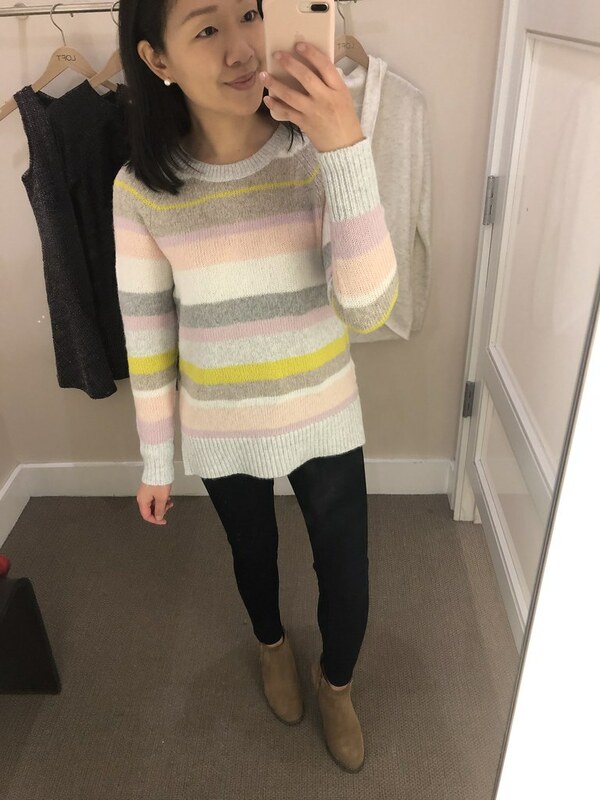 The soft colors of this stripe sweater is really cute and size XS regular is a relaxed fit on me. This sweater runs true to size. I reviewed it previously and I already have it in white in size XXS regular. Unlike the off white color the grey color isn’t see through. I have this top in size XSP but I tried on size XXSP above out of curiosity. If you prefer a closer fit you can size down but I am happy with going with my usual size for a relaxed fit. 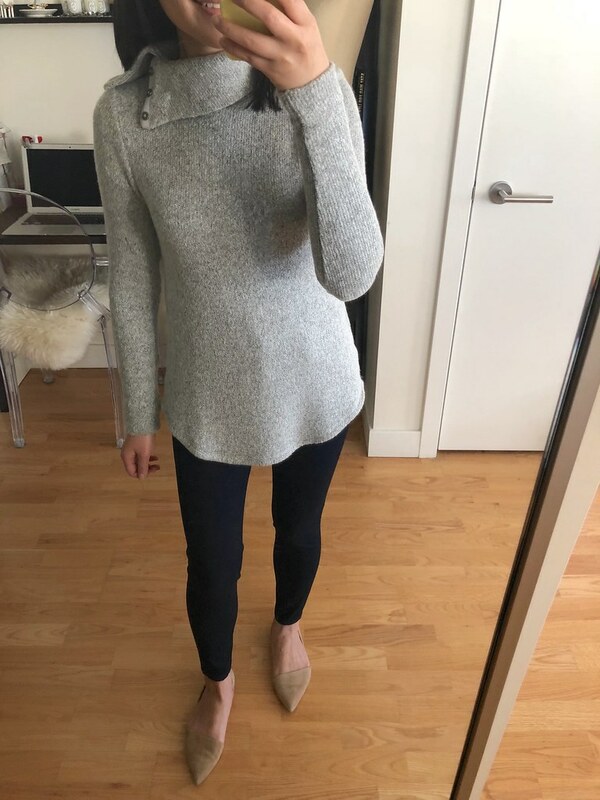 I love the subtle ruffle details on the sleeves and my usual size XSP is a relaxed fit. I had ordered the darker grape color which I reviewed below but I noticed that this purple mist heather color runs smaller and fits me better. 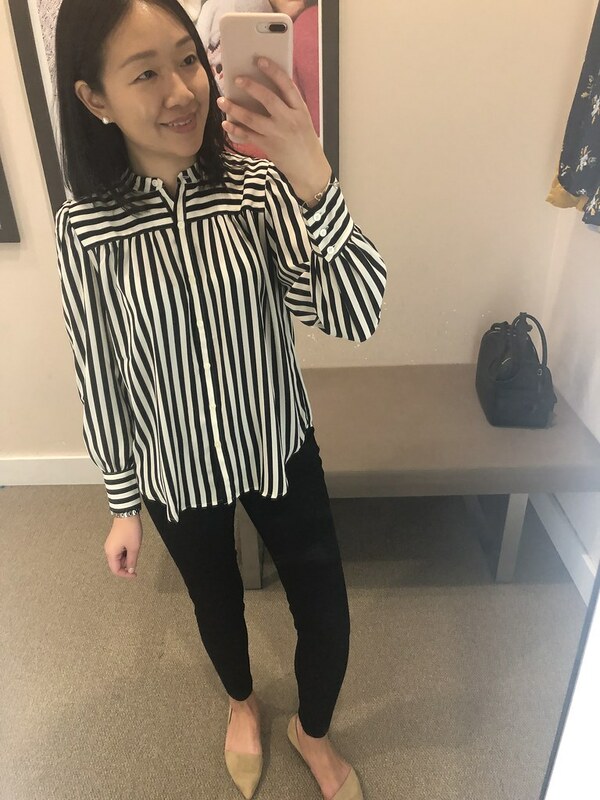 I’m so glad I found this mixed stripe blouse to try on again. This is my usual size XSP felt like it ran big especially through the chest. I have to thank the winter (dry heat) static cling for highlighting the poor fit this visit. Update 12/20: I just noticed that this striped dress is now online! 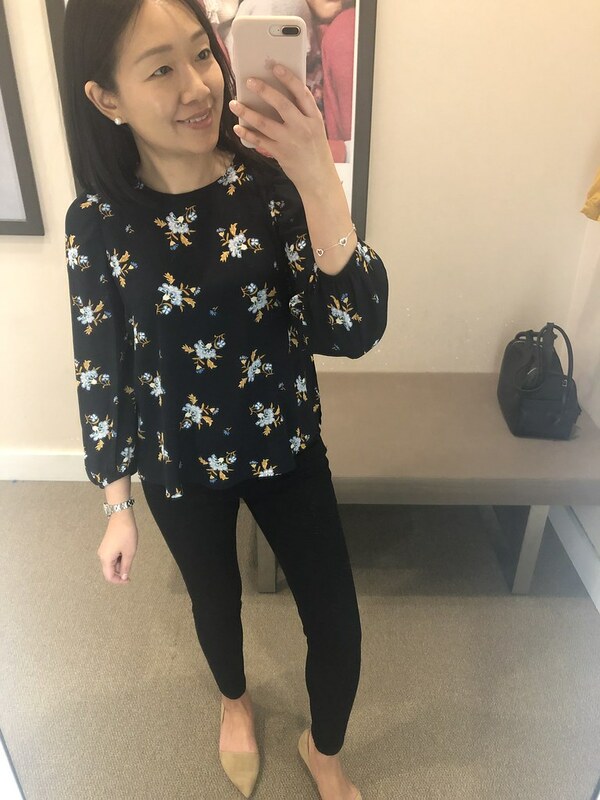 Click here to see it untucked.My usual size XSP is a loose and flowy fit on me so I want to try size XXSP for comparison but this blouse was the last size left at the store in the petite section. 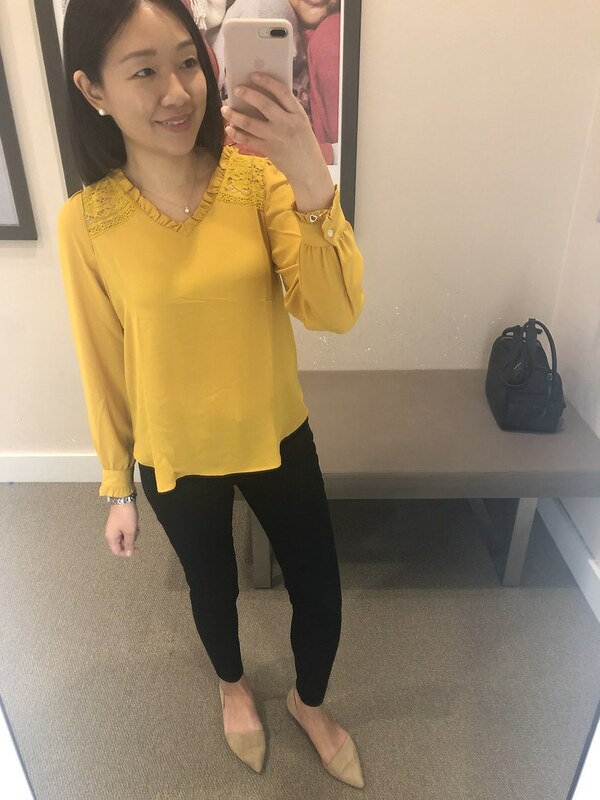 The button placement on this blouse does have the dreaded button gap issue in the middle. When you move around you may show a peek of your bra in the middle unless you wear a cami or use fashion tape to keep the gap shut shut. This blouse is also available in a tulip I reviewed here. 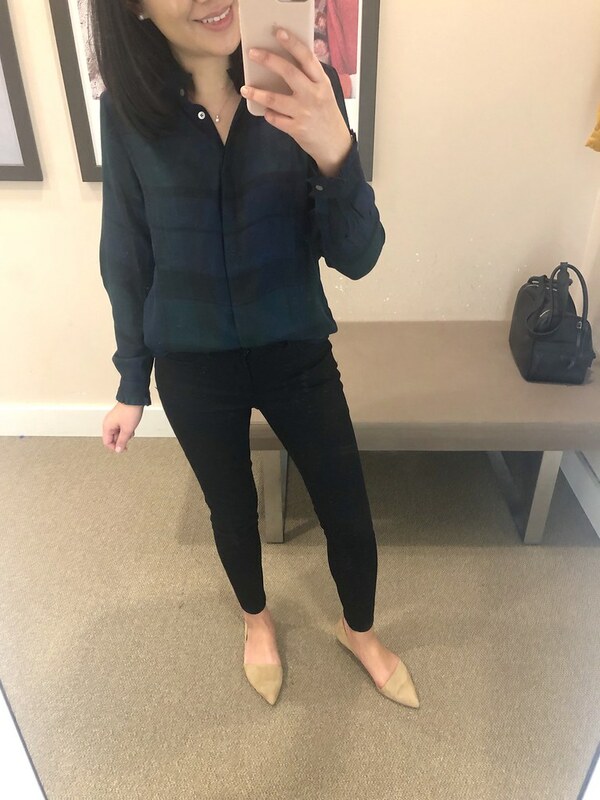 This style blouse runs one size bigger so I would suggest sizing down. Note: I was saying the wrong size in the above video clip. 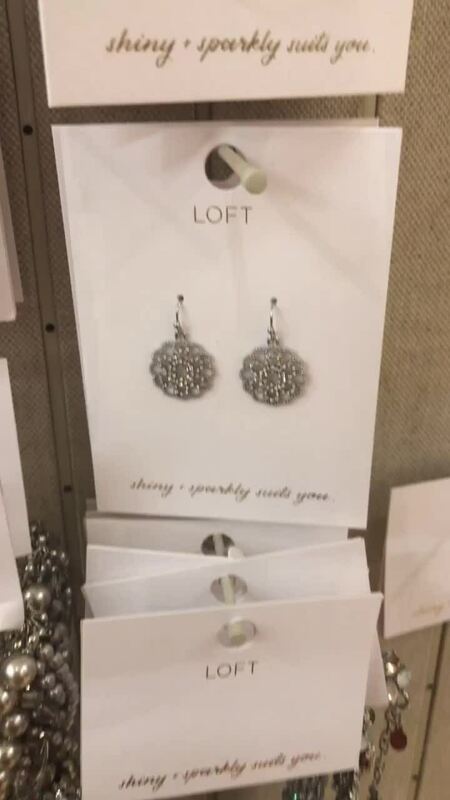 I noted the correct size I tried on above. Size XXSP fits like size XSP. Update 12/10: It’s also now available in a turquoise blue color here with eyelet details on the sleeves. I like the fit of this dress and the fact that it has pockets so I was glad I bothered to try on size 2P for sizing. Size 2P fits like size 00 regular which is the equivalent of a longer length size 0P. 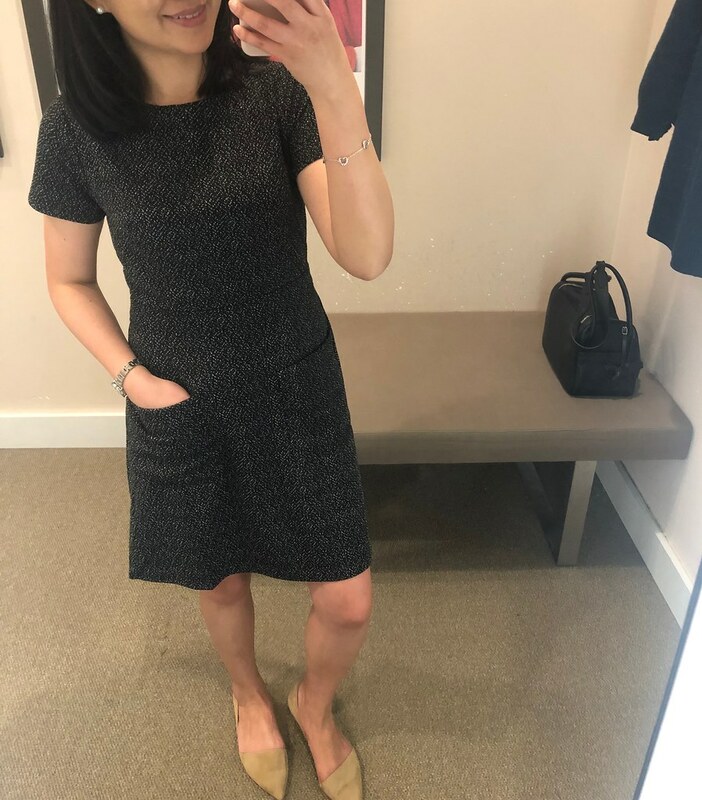 This sweater dress is really cute with the pointelle details at the chest but it’s thin and very short in my usual size. 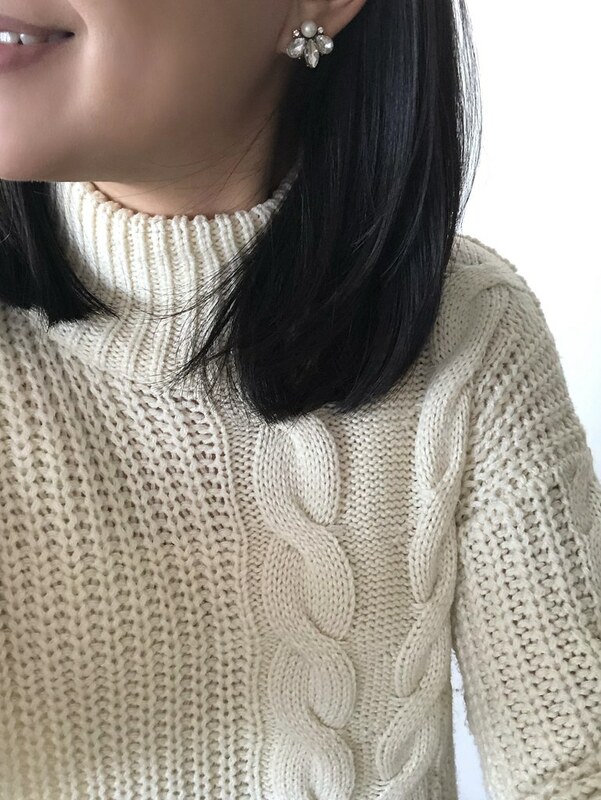 It’s hard to tell but it’s the same design on the top as this pointelle yoke sweater I previously reviewed here. I wanted to love this tunic because of the button details but it’s a bit longer and I didn’t love it on me like I thought I would. It clings to my waist and shows the bumps from the fly of my jeans. I forget if it came in petites but if it did I would have preferred size XSP for a slightly shorter length. 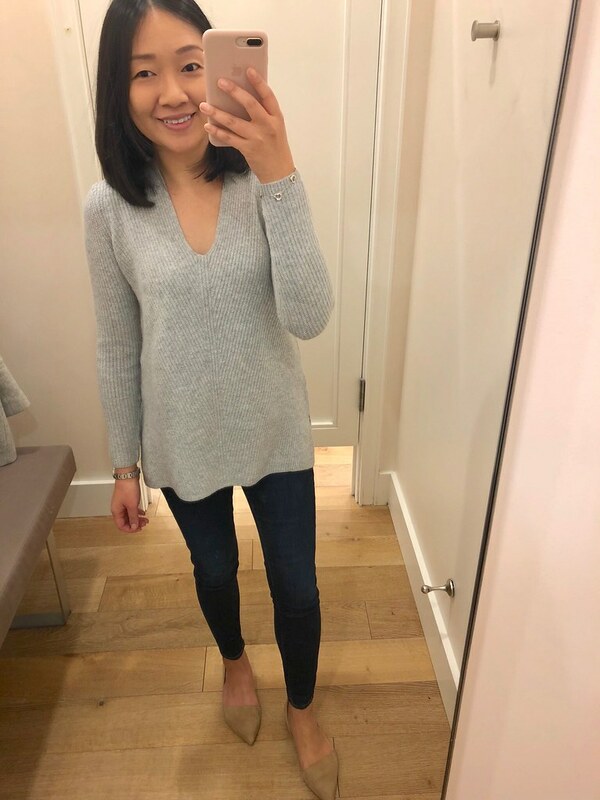 I ordered this top in size XXS regular after trying on size SP in store. I like the longer length of the regular missy size. 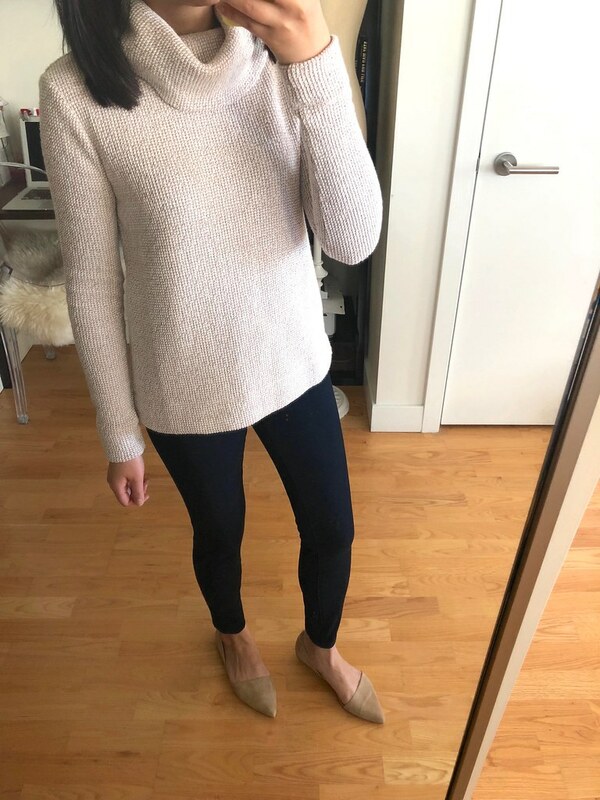 Note that this sweater runs narrow through the shoulders, bust and the sleeves are more close fitting so you may want to size up for comfort. 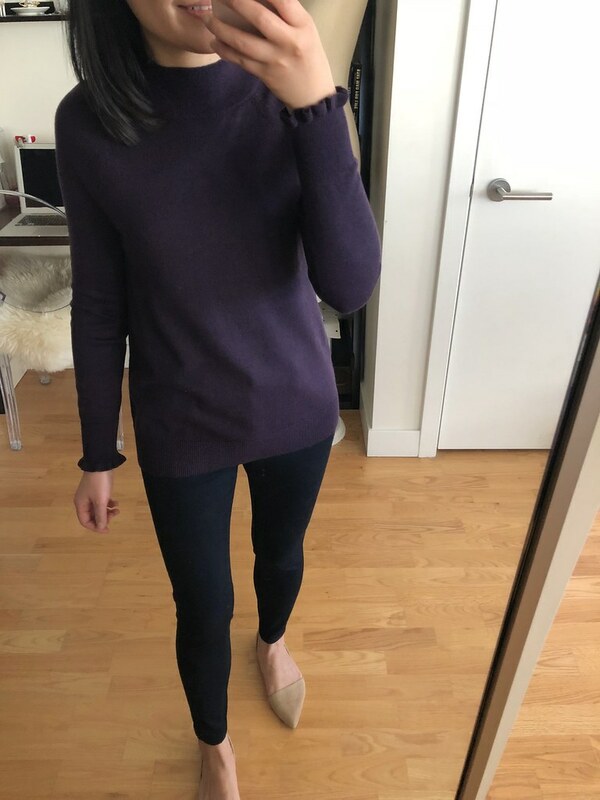 Here is the grape color of the same sweater I reviewed at the top of this post. This color is longer than the light purple color even though they’re both the same size. I decided to only keep the light purple color. 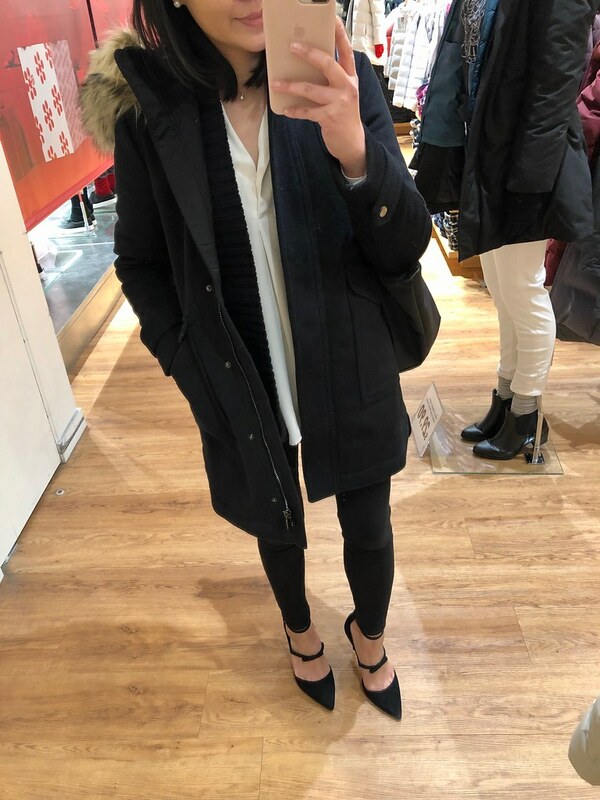 I received a request to try on this jacket so I ordered size XXS regular to try since I haven’t seen it in stores in petites. 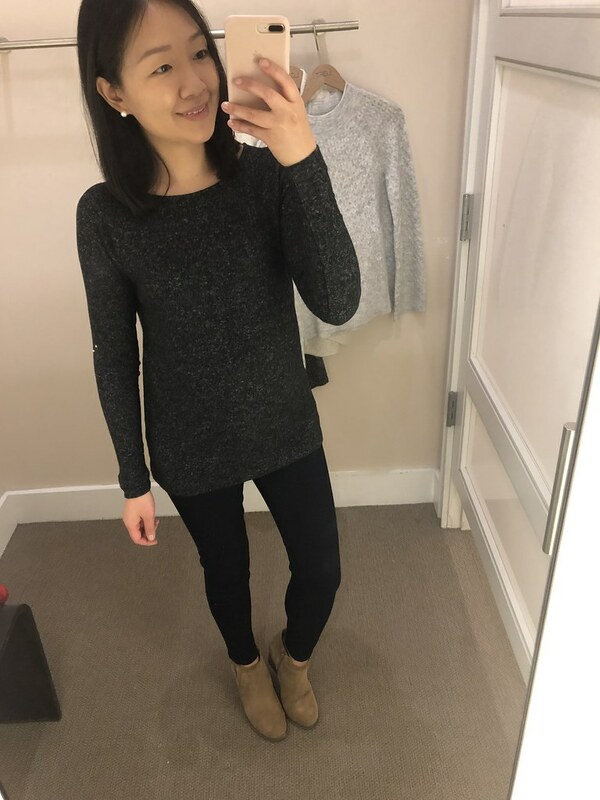 Size XXS regular has really long sleeves and it’s a looser fit for comfortable layering underneath. I didn’t love it belted on me but it’s very shapeless if you don’t belt it. I would probably need this in XSP for a shorter length. I also ordered the shorter white puffer coat but the shipping on it is delayed until 12/15. I really love the colors of this plaid scarf and it feels really soft. Unfortunately, this scarf sheds badly and I wouldn’t recommend it. 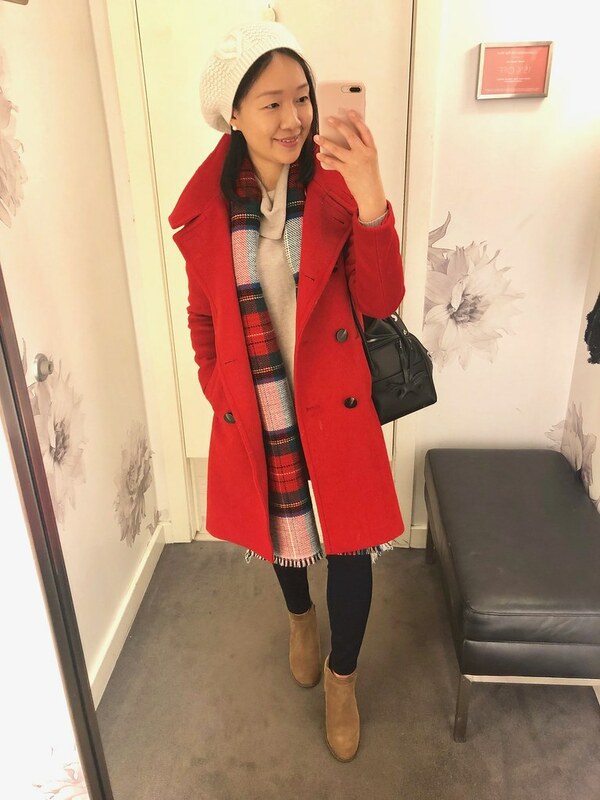 It shed all over my new red coat and the material kept sticking to my iPhone silicone case. 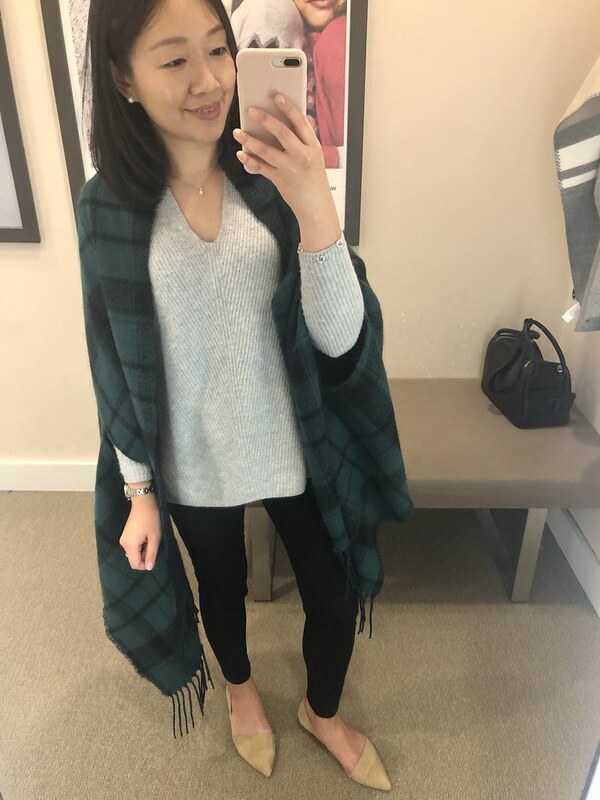 This infinity scarf has similar colors. This boatneck sweater is really pretty with the ruffles on the cuff and hem. I decided to order size XS regular after reading reviews that it ran short. Size XS regular is a bit loose on me so I probably could have gone with size XXS regular for a closer fit. 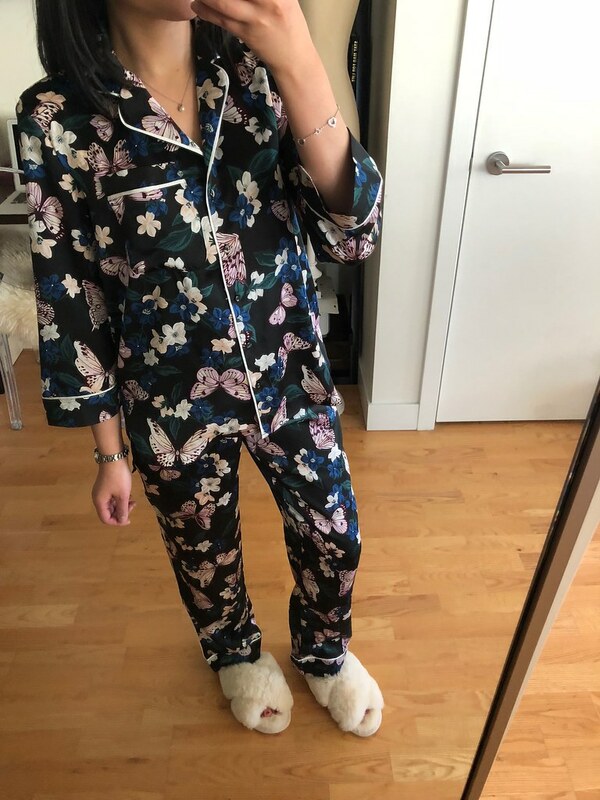 I loved this pajama set so much I had to pick up this color way as one of my gifted items. My usual size fits me well for a relaxed fit. 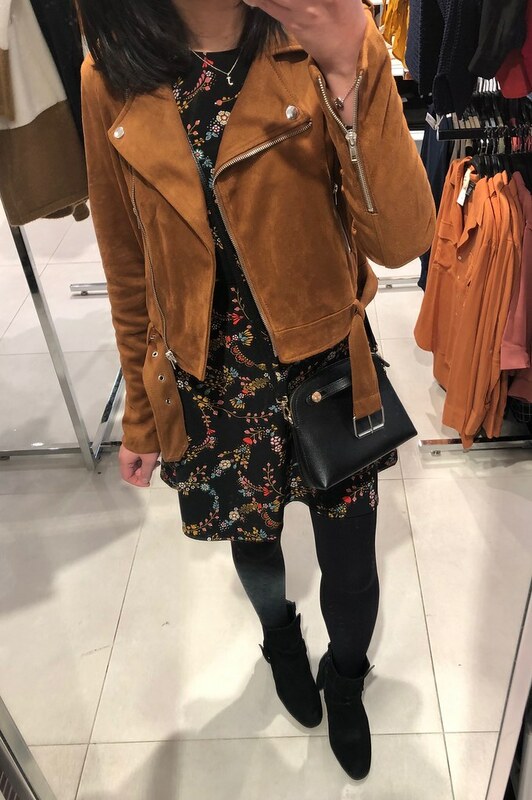 I love the fit and style of this moto jacket but as other reviewers noted it has metallic threads in it instead of being all black which would have been more classic and versatile year round. 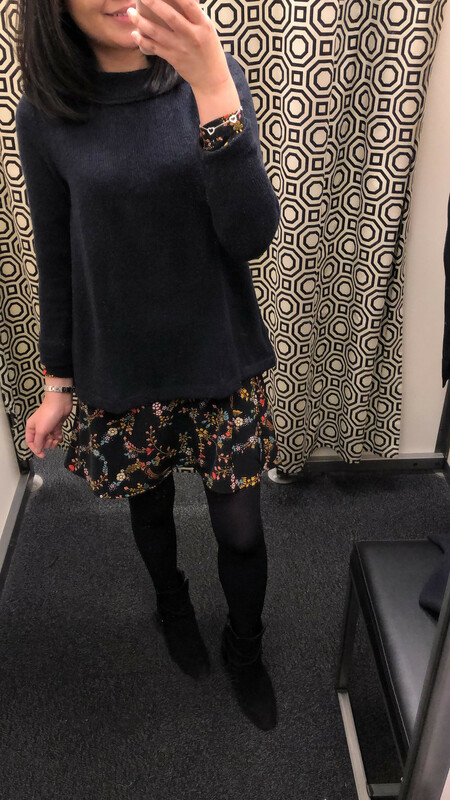 I tried on size 0 regular which fit me pretty well but I would like to compare size 00 regular to see if I would prefer the closer fit. 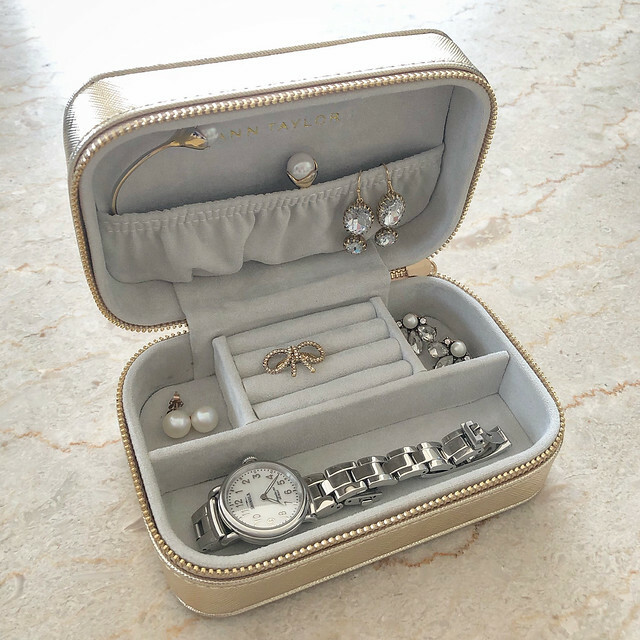 I love this jewelry box since it has a place for your rings. It’s well made and the texture on the metallic color makes it look like saffiano leather. These statement earrings are just the right size for daily wear. 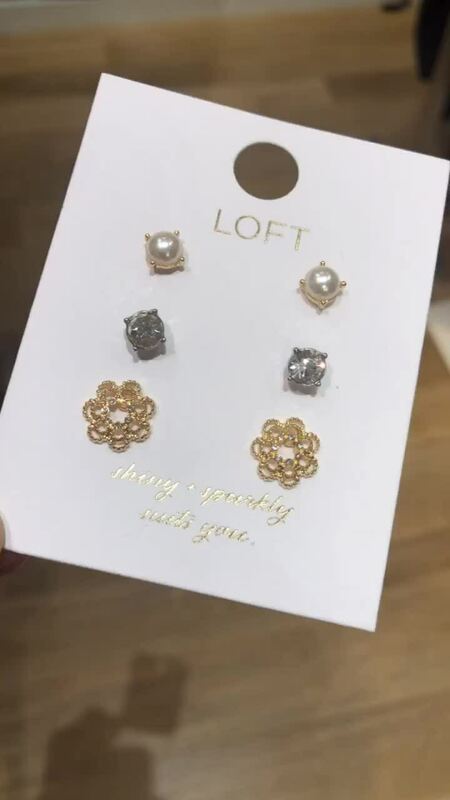 They add just the right amount of sparkle to any outfit to dress things up. These two best sellers are are back at LOFT Outlet in new colors/prints! I actually stopped by my local store to find them before I remember that they are labeled ‘Early Access’ online which means they’re available online first. Hopefully they will be in stores soon and available to be on promotion. If you missed out on the marled moto coat from regular LOFT you can get this one from LOFT Outlet. Size XXSP fits like size XSP. I sized up to SP to layer it over the dress but otherwise I would need my usual size XSP. This top is the same bestseller from regular LOFT a few years ago. LOFT Outlet has sold this top every year for the last 2-3 years but this is the first year it’s available in a lot of colors especially in the regular missy sizes. 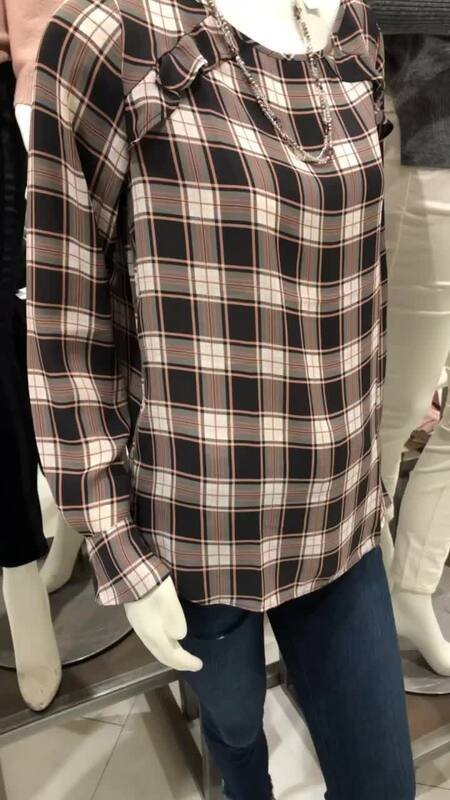 This plaid blouse is very pretty but I was sad to find out that it is only available in regular missy sizes. 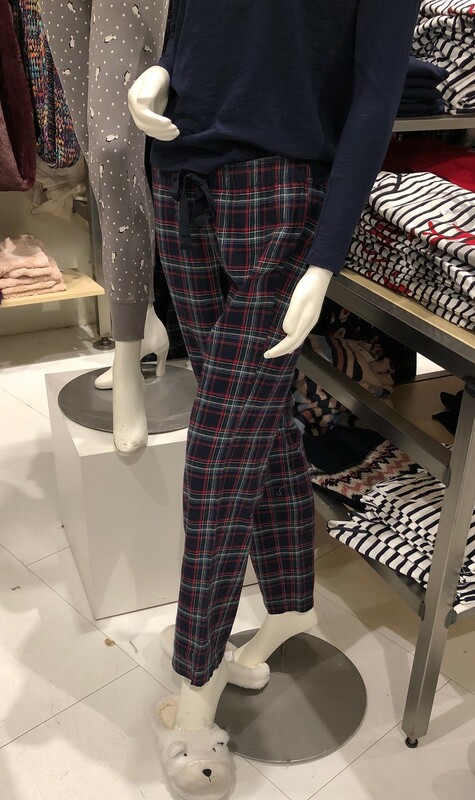 I love the plaid on these pajama pants and I had a chance to feel the cushion on the polar bear slippers which feel like they may not last more than one season before they become very flat. 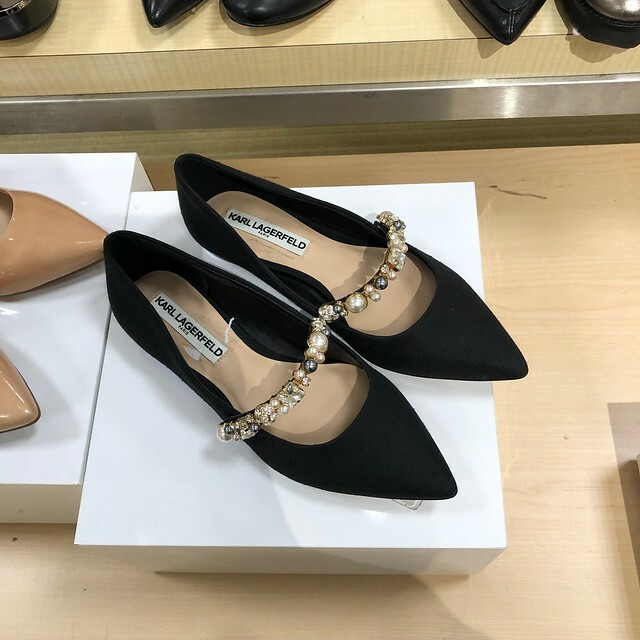 These pretty flats were featured in my previous sponsored post with Walmart. They run half a size smaller since my usual size 7 pinched so I had to reorder size 7.5. They’re very well made and have a non slip sole. 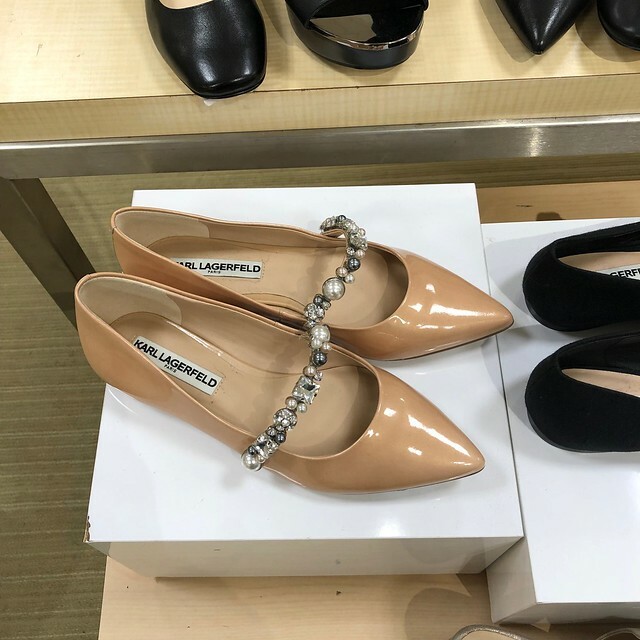 They are stiffer since it’s patent leather so they may require some breaking in or maybe it’s because I have picky feet. 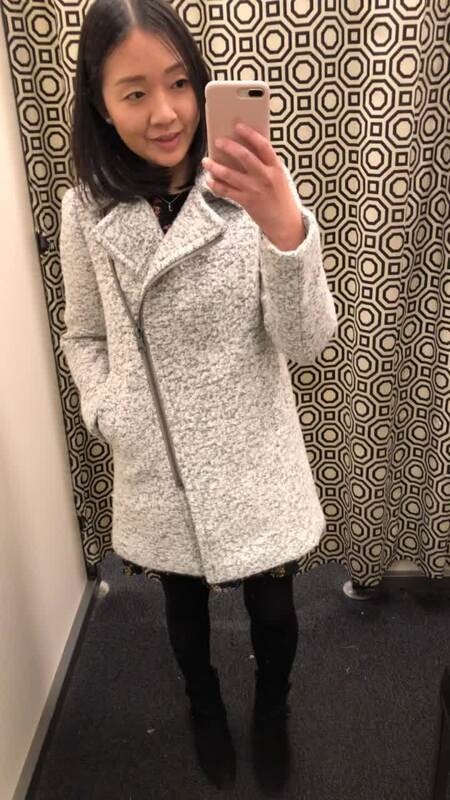 The exact jacket I tried on is not available online (it’s style is SF8549) but this brand has other really cute options. 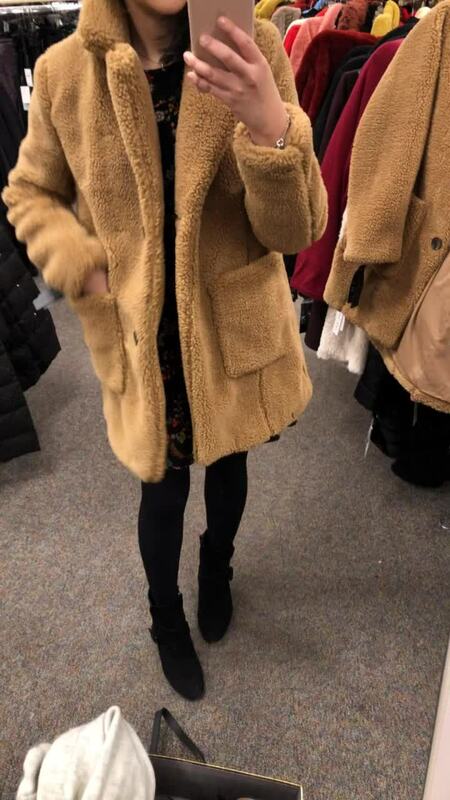 I am actually looking for something less plush but this coat is a really cute petite friendly option. Size S fit like a loose size XSP and it felt really warm. The rich color of this jacket caught my eye so I tried it on for sizing. 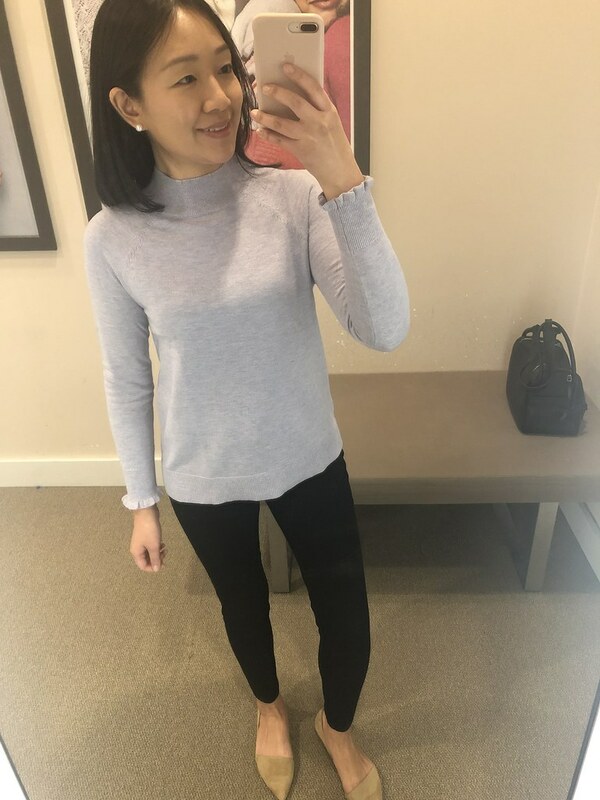 Size S fit me pretty well and it’s surprisingly well made and doesn’t smell bad. I’m not a fan of the belt detail at the waist but it looks like it can be removed. 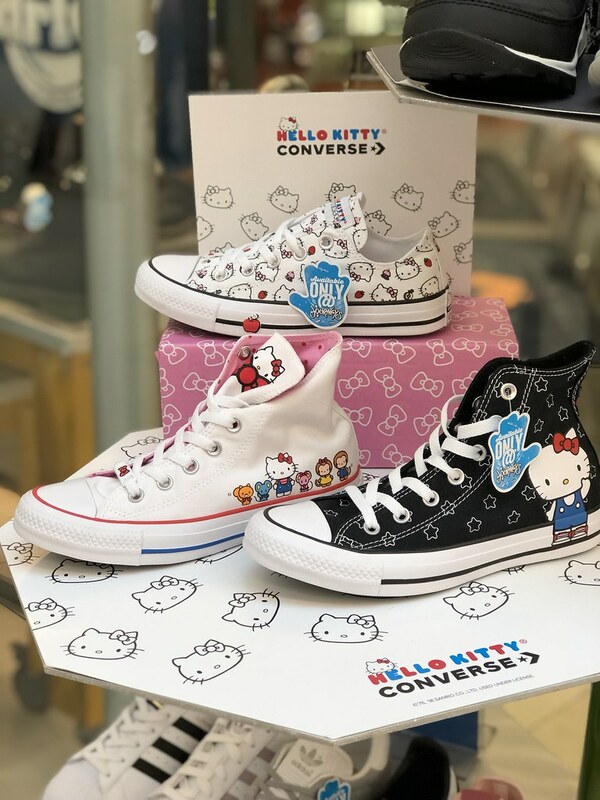 If you’re a Hello Kitty lover then you may want to check out these cute Converse chucks!